Along with his local students in the Tallahassee area, Mr. Garcia-Bolao conducts lessons via the Internet, through Skype™. This makes his piano, theory, and music history instruction and consulting services available worldwide. The idea came to him when one of his students moved to New York. Since they had been working as teacher and student for a number of years, the student did not want to have to find another instructor in a new city. It was then, that Mr. Garcia-Bolao decided to extend his successful teaching practice worldwide via the Web. 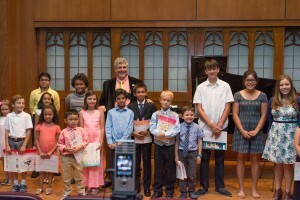 At the present time, he has eager students receiving and requesting piano lessons in such diverse areas as Hong Kong, Australia, mainland China, and Spain, as well as on the west coast of the United States. The Internet provides an ideal way to learn to play a musical instrument in the privacy of your own home, without the added expense and inconvenience of travelling to lessons. For students who live in an area with no easy access to an instructor, those who are housebound, or those who lead a busy lifestyle, lessons via Skype™ is great answer. In addition, some students are simply more comfortable with a webcam lesson than having a lesson in person. Skype™ lessons are scheduled at a mutually convenient time, and are just as effective as in-person lessons. Just like in-person lessons, they are matched to each student’s particular needs and desires, whether it be to follow a set course, learn to play by ear, improvise, or simply get help with a particular piece of music one wishes to learn. 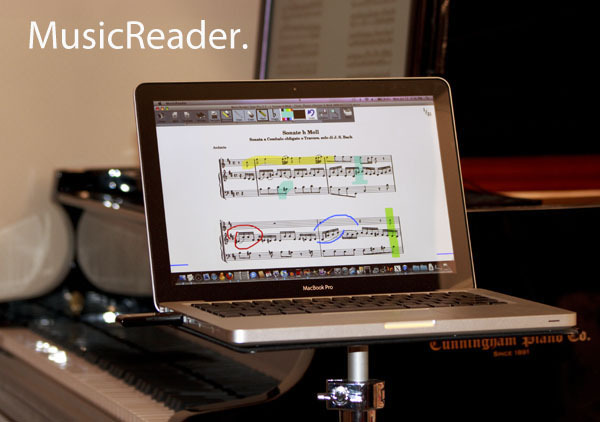 Lessons over the Internet, are best suited for students who have had some previous piano instruction. This New York Times article talks about the growing popularity of remote music instruction. Think the idea is crazy? Even MD’s are conducting medical appointments through the Internet. What is Skype™? Skype™ is a computer program that allows users anywhere in the world to make voice and video calls between computers, completely free of charge. You can click on the link below for more information about the program. What do I need? -A Computer. -High-Speed Internet connection. –The Skype™ program (a free download). -A microphone and a web camera (most computers have these already integrated within). The instructor will provide all the teaching materials the student needs, and they will be sent before the lessons begin, via e-mail. How does it Work? Email the instructor to notify him of your interest in Skype™ lessons. He will arrange to have a free test call. During this first call (which will usually last between 15-20 minutes), He will ask you about your interests and goals as they relate to piano and music. You will also make sure that the connection is good, and all of the technical aspects, such as camera positioning, are taken care of. Afterward, once you have agreed to a mutually convenient time for the lessons, and he has received payment, Mr. Garcia-Bolao will call you, and lessons begin. How do I make payments? If you live within the United States, you can set payments up on the bill payment option of your local bank. The instructor will provide you with the payment address after your initial meeting. If you do not use bill payment, personal checks drawn in a U.S bank in U.S. currency are also accepted. Payment is due at the beginning of each month, for the entire month. Please contact Mr. Garcia-Bolao for current rates. If you live outside the United States, you may use money transfers into a bank account, or you may pay via PayPal™. What other programs and services are available? Mr. Garcia-Bolao also offers AP Music Theory coaching, as well as practice, music theory, history and appreciation workshops for individuals and groups around the world via Skype™. Please note that neither Mr. Jaime Garcia-Bolao, nor KeyNotes Piano Studio, Inc., are in any way associated with Skype™ Inc., or Paypal™, Inc.